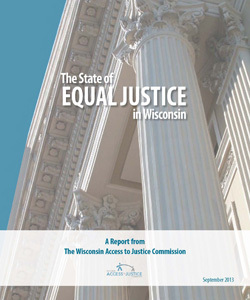 The Wisconsin Access to Justice Commission was created by the Wisconsin Supreme Court at the request of the State Bar of Wisconsin to aid the courts in improving the administration of justice. 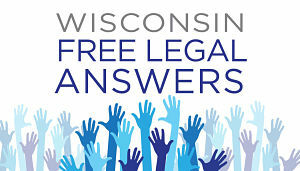 Our mission is to develop and encourage means of expanding access to the civil justice system for unrepresented low-income Wisconsin residents. Achieving such an ambitious objective will require great effort and a long-term commitment from everyone who has a stake in equal justice under law for every Wisconsin resident. We are prepared to make that commitment and we invite you to join us in our efforts to ensure equal justice for all. Who are we? We are not a direct services organization and we don’t provide funding for services. We support the people and organizations that provide those vital services through legislative education, public education, and by providing a forum for sharing information about what works in civil legal aid. We help build bridges that overcome barriers to justice. What is civil legal aid? Watch this short video explainer to find out. In a nutshell, civil legal aid is a system of public and private resources (including lawyers and self-help tools) that ensure fairness for all in the justice system, regardless of how much money you have. Together, they help build stronger communities.